Profiling cookies: These are persistent cookies used to identify (anonymously or not) user preferences and improve your browsing experience. The Hotel Tirol website does not use any cookies of this type. Hotel Tirol website also includes certain components transmitted by Google Analytics, a web traffic analysis service provided by Google Inc. (“Google”). Again it comes to third-party cookies which anonymously collect and manage information to monitor and improve the performance of the host site (performance cookies). Google Analytics uses “cookies” to collect and analyse anonymous information about the usage behaviour of the website of Hotel Tirol (including your IP address). 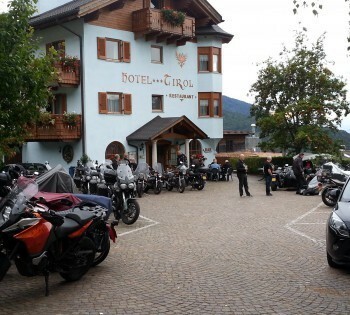 This information is collected by Google Analytics, which processes them in order to draw up reports for Hotel Tirol operators about the activities on the websites themselves. This site does not use (and does not allow any third party to use) the Google Analytics tool to track or collect any personally identifiable information. Google will not associate your IP address with any other data held by Google or seek to link an IP address with the identity of a user. Google may also transfer this information to third parties where required to do so by law or if third parties process the aforementioned information on Google’s behalf. However, browsing the pages of the Hotel Tirol website, you can interact with sites operated by third parties that can create or modify persistent and profiling cookies.